Rejuvenate the Look and Feel of Your Moncks Corner Bathroom Today! Nobody puts bath renovations in Moncks Corner better than the Charleston Bath Experts! If you follow the Cooper River south from Moncks Corner for about an hour, you’ll finally find Charleston. Although getting to Moncks Corner may seem like a haul, area homeowners are never far from the Charleston Bath Experts! Since 1977, our Moncks Corner bathroom remodeling company has been a trusted source for innovative home services and constructions. Now, through our partnership with Luxury Bath, we seek to translate our storied history of satisfied customers and renovation successes into quality, affordable bathroom remodeling services for every Moncks Corner home. An outdated tub can diminish the decorative quality of your entire bathroom, especially if it’s an old cast iron or porous porcelain tub that retains moisture and breeds mold and mildew. If you’re tired of endless tub upkeep or simply long for a more contemporary model, contact our Moncks Corner bathtub replacement company! We’ll fit a new, custom bathtub directly within your existing wet area in as little as two days. It’s no longer necessary to close off your bathroom for weeks just to revitalize your fixtures. Let the Charleston Bath Experts show you the future of bathroom improvement! Our Moncks Corner shower replacement company believes that no two showers should look alike because no two showers are used in the same way. 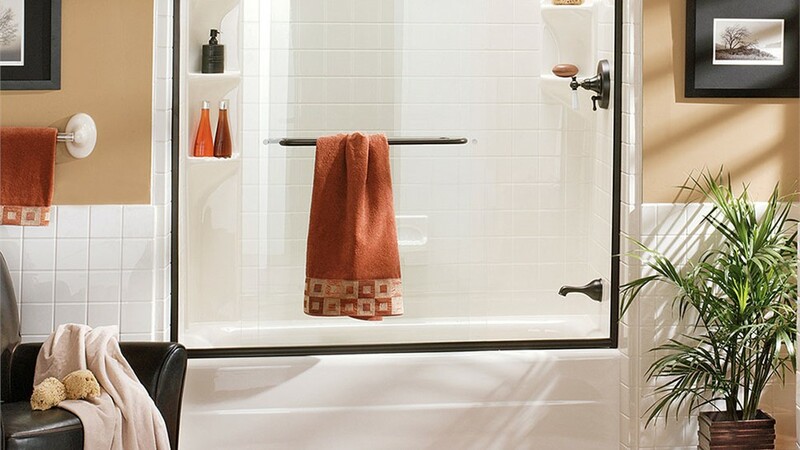 For homeowners opting for enhanced accessibility, we offer a wide variety of accessible construction options, including barrier-free shower bases and roll-in stalls. For those who prioritize a shower that perfectly complements their interior décor, the Charleston Bath Experts have a robust selection of colors, tile patterns, and styles that constitute 86 distinct design combinations. With our expert help, you’ll put your signature on shower time. Your daily routine should be a soothing one that either helps you prepare for or unwind from the stresses of life; but if your bath fixture doesn’t serve your bathing needs, it can be difficult to capture that level of comfort. That’s especially true if your current bath or shower is damaged, porous, or generally out-of-date. In Moncks Corner, tub-to-shower conversions and their shower-to-tub counterparts don’t have to be an expensive affair. As South Carolina’s top Luxury Bath dealer, we can provide you with a long-lasting, custom-cut and -fabricated tub designed to your exact specification in as little as two days! 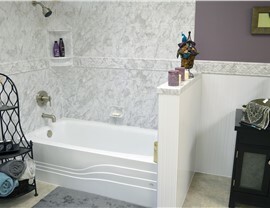 In Moncks Corner, walk-in tubs are growing more popular by the day. They’re one of our most requested fixtures because of how feature-rich and customizable they are. Our walk-in tubs are perfect for those who are aging in place or struggling with restricted mobility. 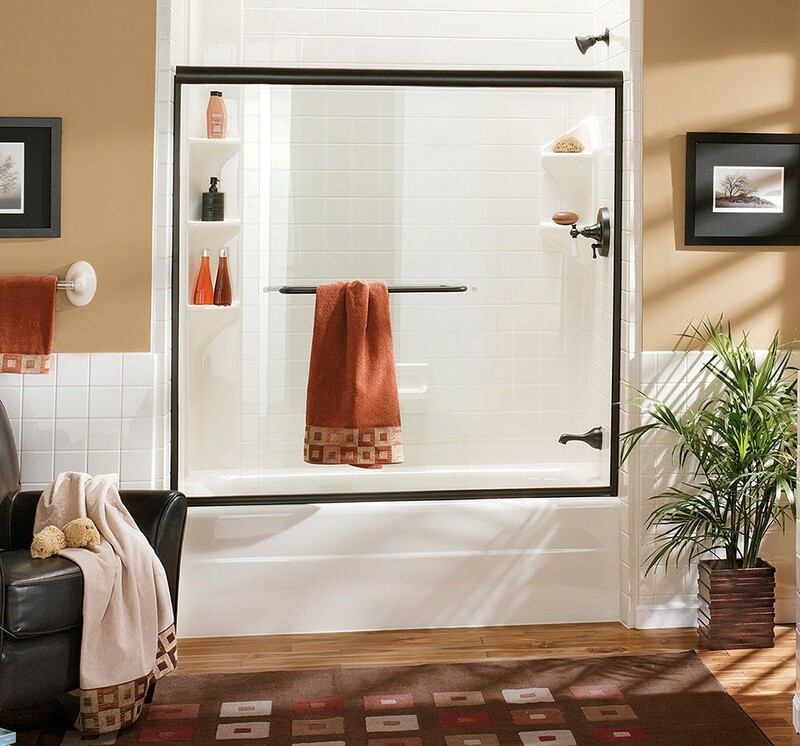 These walk-in models offer baseline amenities like a low-threshold, leak-proof side door that eliminates high tub walls and potential slip hazards. They can also be further customized with built-in seating and ADA-compliant handrails. 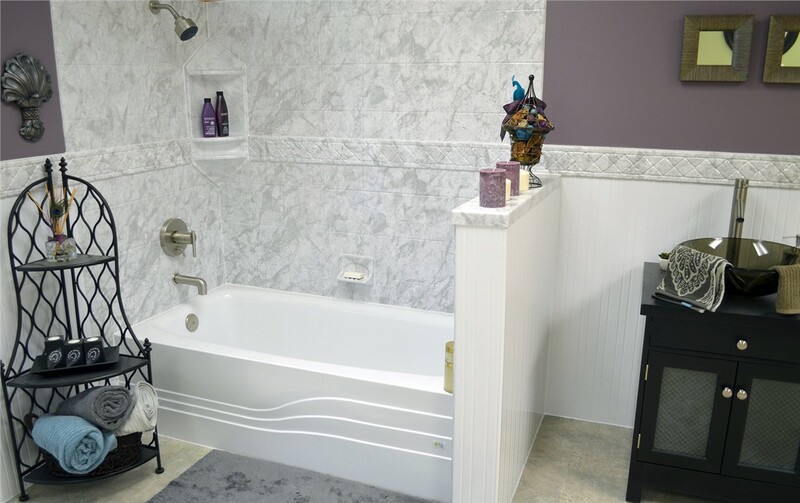 If you’re looking for the apex of bathing comfort and security, few fixtures can compete with our walk-in tubs in Moncks Corner. Request a Free Bathroom Remodeling Quote for Your Moncks Corner Home! To learn more about our bathroom remodel solutions, or to discuss your upcoming renovation plans with one of our expert designers or technicians, call the Charleston Bath Experts today! We also invite you to submit our online contact form to request your in-home consultation and free, no-obligation estimate.